Bruges: Plaque on wall of Huis ter Beurse. 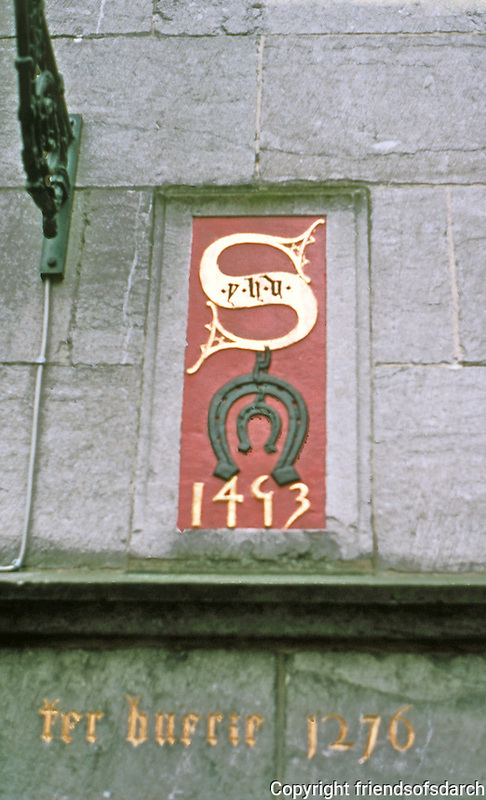 1493 is date of facade. 1276 perhaps date of structure behind facade. Photo '87.